When I think of lentils, I think hippie food — like carob chips or bean sprouts. I never grew up eating lentils in Newfoundland, and they’ve always reminded me of split peas, which I truly dispise. But after eating at four great Toronto restaurants that are pumping out great lentil-centric dishes for The Fundelentil Tour, it really changed my mind about those beany babies and I am going to try and use them in my cooking more. After all, I use bean sprouts all the time now (but you’ll never see a carob chip in my kitchen; stupid imitation chocolate weird things). So when I got the invite for the The Fundelentil Tour, the Toronto edition, I couldn’t resist. Being a bit of a food nerd, I was excited to learn about lentils and their production in Canada. I had no clue they’ve only been producing lentils in Canada since the 1970s (to be frank, I had no idea we ever grew them here), and we are actually the world’s largest supplier! There are over 5000 lentil farmers across the country and they produce dozens of varieties of lentils to be consumed here at home and elsewhere like India, Turkey and Egypt. 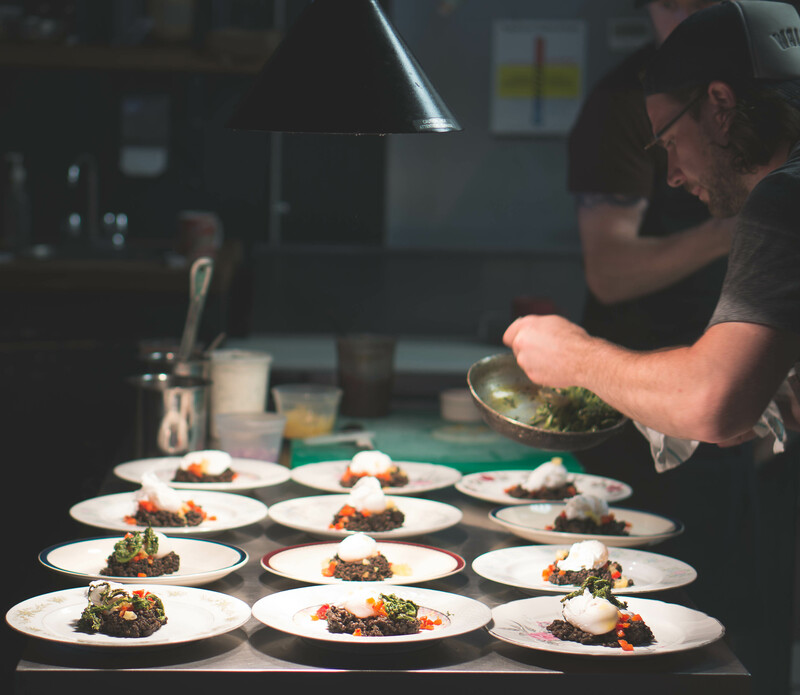 The first restaurant on the tour was the Farmhouse Tavern in the Junction. 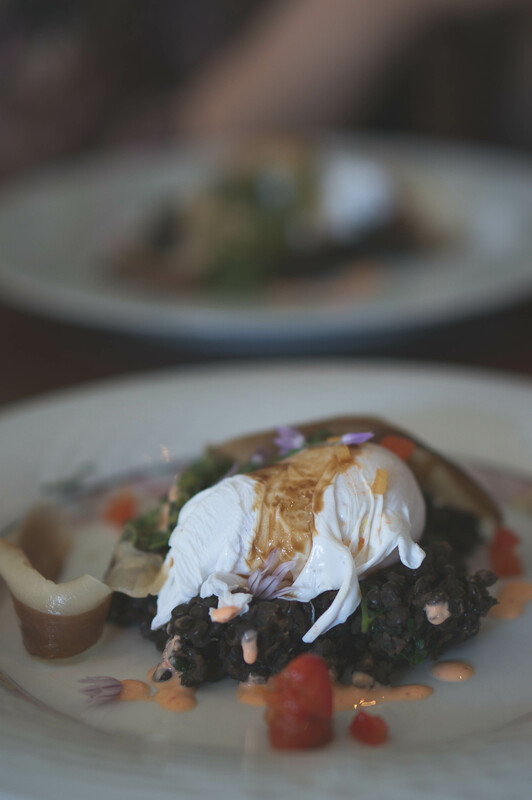 They served up breakfast for lunch with Chef Tom Wade preparing Warm Beluga Lentils with Ontario Fiddleheads, Dry-Aged Rib Eye Bacon and Soft-Poached Duck Egg. Holy crap, that rib-eye bacon was freaking delicious. Stop number two was Boralia on Ossington. 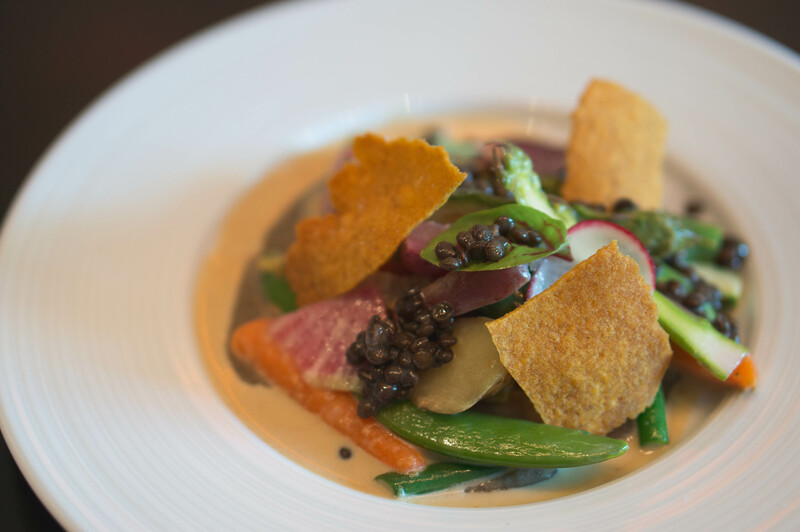 I couldn’t help but smile when I saw that Chef Wayne Morris was preparing his spin on a traditional Nova Scotia dish Hodgepodge, which is basically a vegetable stew with cream. It was definitely the fanciest and most delicious Hodgepodge I have ever had, or ever will have. George was the next stop on the Fundelentil tour where we feasted on Dungeness Crab with Lentil Salad and Fava Bean. There was also a little caviar on top, just because. This dish was tasty and really different in the best kind of way. 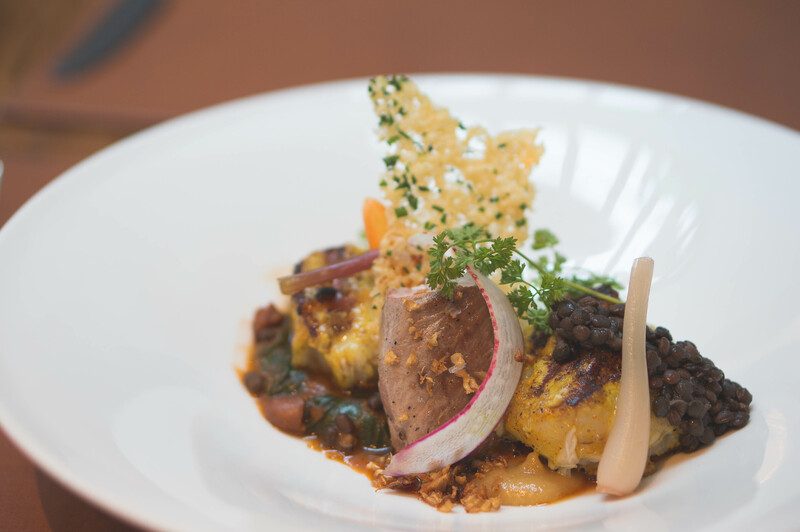 The fourth and final stop took us to Pangaea, where we had my favourite dish of the day: Celeriac-dusted Veal Loin on Spiced Black Gram and Red Lentils, 24-hour marinated Scallop, Grilled Fine Herb Lentil cake, with shaved and pickled Spring Vegetables. What a mouthful to say, and man-oh-man a great mouthful to enjoy. Simply delicious. If you want to bone up on your lentilology you can check out www.fundelentils.ca, and you can have a look to see what restaurants are competing in your city. 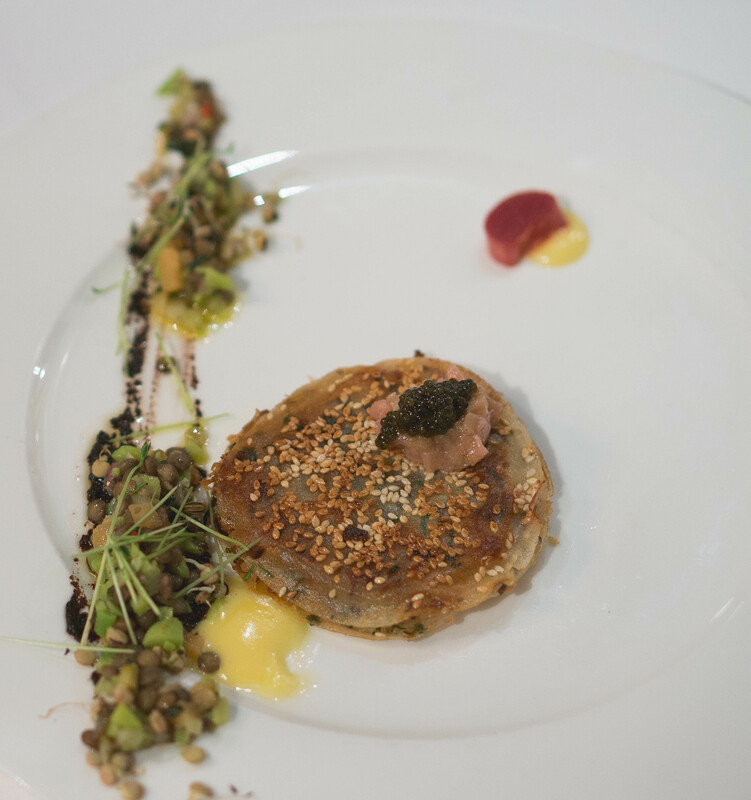 Twenty-four restaurants in seven cities are battling it out for best lentil dish, which runs until June 30th.